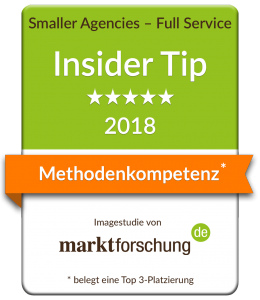 The aim of the image study by marktforschung.de was to capture how small and medium-sized German market research companies are perceived by researchers. In an online survey, industry insiders were asked how familiar they were with individual market research service providers, and how they perceived their image in various evaluation dimensions. The primary target group was company market researchers. Institute market researchers and service providers were also asked to give their opinion. A total of 558 people participated in the study from 21.02.-26.03.2018. 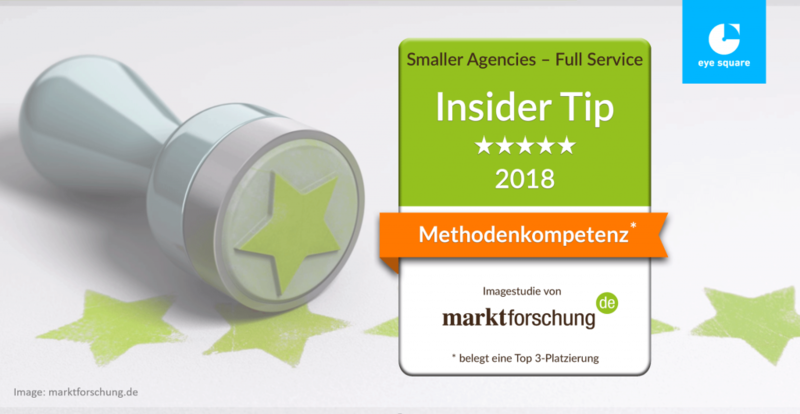 Twenty three market research companies made it into the second round of the marktforschung.de evaluation, and only 12 moved on to receive a top level position. eye square is both honored and pleased to announce that we were named the leader in methodical competence. In addition, we ranked fourth place in brand recognition amongst all the market research companies. It was a pleasure to be involved with the marktforschung.de study and we will look forward to new exciting market research challenges with our clients!